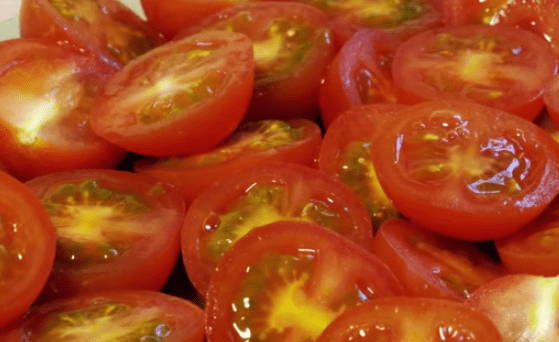 Learn the clever and quick way to cut cherry tomatoes. This entry was posted in Food and tagged cooking, vegetables by TheGoodGoodGuy. Bookmark the permalink.